When Ken Holt’s father, the famous newspaper writer, comes home for a Christmas visit, one of the gifts he brings is an antique iron box. 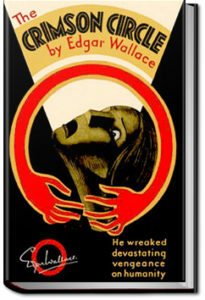 Soon after he arrives a serious of unexplained events occur, including an attempted burglary. 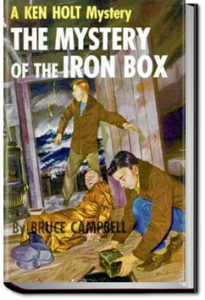 A hunch that the iron box is at the center of these occurrences sends Ken Holt and his friend Sandy Allen on an exciting adventure to solve the mystery! This entry was posted in Reading and tagged allyoucanbooks reviews, audio books online, audiobooks, free book downloads, free ebook downloads, unlimited audiobooks, unlimited crime books on March 6, 2019 by all-you-can-books. 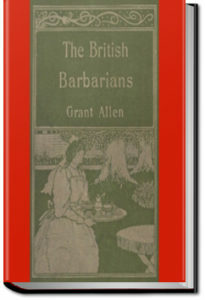 This entry was posted in Reading and tagged allyoucanbooks reviews, audio books online, audiobooks, free book downloads, free ebook downloads, unlimited audiobooks, unlimited crime books on February 24, 2019 by all-you-can-books. 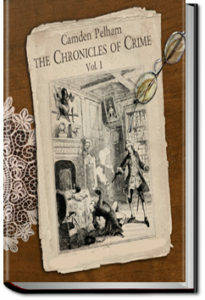 The Crimson Circle gang spreads fear by extortion and murder. Its members range from rich, powerful bankers to petty criminals, and none of them know each other. A beautiful young woman named Thalia Drummond appears to be involved in the gang too. But who is the leader of the gang, known only as The Crimson Circle? Chief Inspector Parr is on the case, as well as private detective Derrick Yale. This entry was posted in Reading and tagged allyoucanbooks reviews, audio books online, audiobooks, free book downloads, free ebook downloads, unlimited audiobooks, unlimited crime books on November 22, 2018 by all-you-can-books. Ali Tepeleni, Pacha of Janina, rose to power during the early 1800s in one of the Ottoman Empire’s most unruly territories (Albania). His ferocious imposition of will was limitless, earning him the sobriquet of “the Lion of Janina.” As the mauling and murder of innocents sustains the lion, so did it sustain Ali Pacha’s rule. 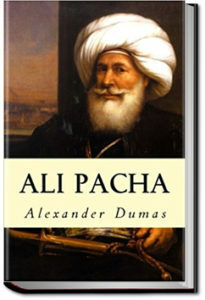 Thus, the range of celebrated crimes that Dumas describes in this essay are as vast as Ali Pacha’s ambition – an ambition rooted in his mother’s callous advice that “success justified everything, and everything is permissible to him who has the power to do it. This entry was posted in Reading and tagged allyoucanbooks reviews, audio books online, audiobooks, free book downloads, free ebook downloads, unlimited audiobooks, unlimited crime books on November 8, 2018 by all-you-can-books. 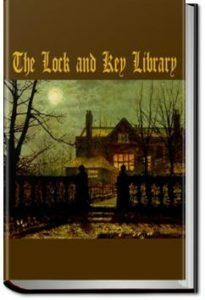 A collection of classic mystery and detective stories, collected and edited by Julian Hawthorne. This entry was posted in Reading and tagged allyoucanbooks reviews, audio books online, audiobooks, free book downloads, free ebook downloads, unlimited audiobooks, unlimited crime books on October 26, 2018 by all-you-can-books. This entry was posted in Reading and tagged allyoucanbooks reviews, audio books online, audiobooks, free book downloads, free ebook downloads, unlimited audiobooks, unlimited crime books on September 18, 2018 by all-you-can-books. This novel tells the story of Harmony Wells, an innocent and beautiful American in Austria to study violin. Harmony has talent and she dreams of a career in music. After her friends run out of money and return to the States, Harmony stays on in hopes of earning enough money to continue her lessons. Along the way, she meets Peter Byrne, an American doctor in Vienna following his dream to study surgery. Peter is already watching over an orphan boy in a local hospital and now he takes it upon himself to protect young Harmony from the unsavory side of life in the big city. With life pressing in, Peter and Harmony each must decide how much to sacrifice for the sake of their dreams – and for each other. This entry was posted in Reading and tagged allyoucanbooks reviews, audio books online, audiobooks, free book downloads, free ebook downloads, unlimited audiobooks, unlimited crime books on July 10, 2018 by all-you-can-books. 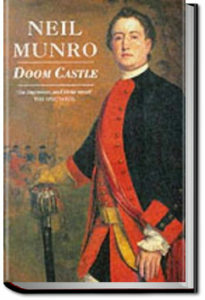 Doom Castle is the story of young Count Victor’s journey to Scotland after the Jacobite Rebellion, searching for a traitor to the Jacobite cause as well as a mysterious man under the name of “Drimdarroch”, whom he swore revenge. After a perilous journey, Count Victor arrives at Doom Castle as a guest of the enigmatic Baron of Doom, his two strange servitors and his beautiful daughter. This entry was posted in Reading and tagged allyoucanbooks reviews, audio books online, audiobooks, free book downloads, free ebook downloads, unlimited audiobooks, unlimited crime books on April 29, 2018 by all-you-can-books. 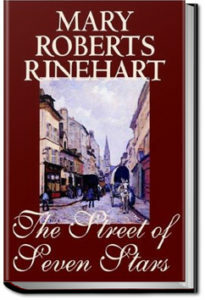 After Civil Servant Philip Christy crosses paths with the mysterious Bertram Ingledew in the respectable suburb of Brackenhurst, Philip and his sister Frida, married to the wealthy Scot Robert Monteith, become friends with the stranger. Bertram has some unconventional concepts about society, and as the story unfolds, his beliefs and actions cause much disruption in the family and the neighbourhood. This entry was posted in Reading and tagged allyoucanbooks reviews, audio books online, audiobooks, free book downloads, free ebook downloads, unlimited audiobooks, unlimited crime books on April 16, 2018 by all-you-can-books. Fantômas was introduced a few years after Arsène Lupin, another well-known thief. But whereas Lupin draws the line at murder, Fantômas has no such qualms and is shown as a sociopath who enjoys killing in a sadistic fashion. He is totally ruthless, gives no mercy, and is loyal to none, not even his own children. 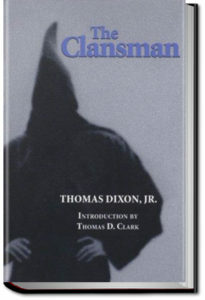 He is a master of disguise, always appearing under an assumed identity, often that of a person whom he has murdered. Fantômas makes use of bizarre and improbable techniques in his crimes, such as plague-infested rats, giant snakes, and rooms that fill with sand. 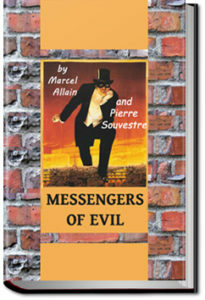 Messengers of Evil begins when “… Baroness de Vibray, well known in the Parisian world and among artists, whose generous patroness she was, has been found dead in the studio of the ceramic painter, Jacques Dollon.” It ends with Fantomas’ escape once again, and with Juve receiving a humiliating rebuke from the supreme head of the police detective department. But the chase has not ended. This entry was posted in Reading and tagged allyoucanbooks reviews, audio books online, audiobooks, free book downloads, free ebook downloads, unlimited audiobooks, unlimited crime books on March 12, 2018 by all-you-can-books.